Strong electronic correlations, emerging from the parent Mott insulator phase, are key to copper-based high-temperature superconductivity. 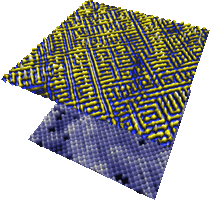 By contrast, the parent phase of an iron-based high-temperature superconductor is never a correlated insulator. 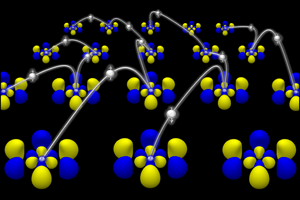 However, this distinction may be deceptive because Fe has five active d-orbitals while Cu has only one. 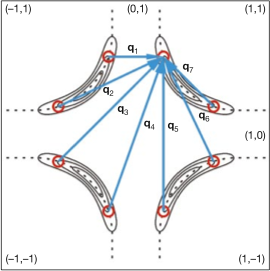 In theory, such orbital multiplicity can generate a Hund's metal state, in which alignment of the Fe spins suppresses inter-orbital fluctuations, producing orbitally selective strong correlations. 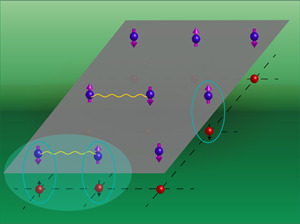 The spectral weights Zm of quasiparticles associated with different Fe orbitals m should then be radically different. Here we use quasiparticle scattering interference resolved by orbital content to explore these predictions in FeSe. 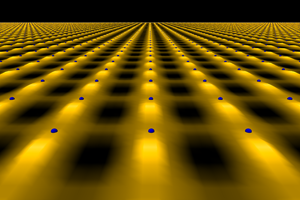 Signatures of strong, orbitally selective differences of quasiparticle Zm appear on all detectable bands over a wide energy range. 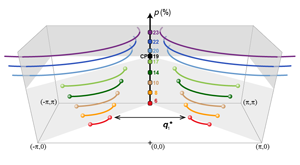 Further, the quasiparticle interference amplitudes reveal that Zxy<Zxz<<Zyz, consistent with earlier orbital-selective Cooper pairing studies. 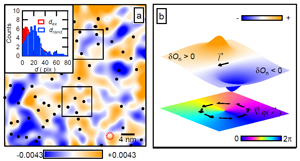 Thus, orbital-selective strong correlations dominate the parent state of iron-based high-temperature superconductivity in FeSe. The cuprate pseudogap exhibits an unidentified unconventional density modulation, which is widely believed to be charge density wave (CDW). 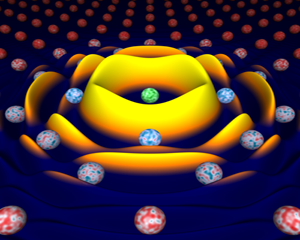 Recent theory indicates that it could actually be an electron-pair density wave (PDW) state. Here we demonstrate theoretically that a biaxial PDW state with 8a0 periodicity may provide a compelling quantitative explanation for much of the observed quantum oscillation data. In Cu-based HTS materials, the undoped phase is a robust Mott insulator while, in Fe-based HTS materials, the undoped phase is generally not an insulator at all. Thus, proximity to a Mott insulator appears neither indispensable nor universal to HTS. However, theory predicts that Fe-based materials could still be governed by strong electronic correlations proximate to a Mott insulator if an orbital selective Mott phase (OSMP) exists. A key signature of OSMP would be orbital selective Cooper pairing wherein electrons of a specific orbital character predominantly form the Cooper pairs. 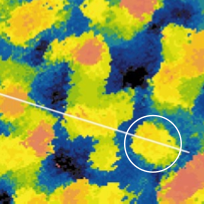 We used Bogoliubov quasiparticle interference imaging to determine the Fermi surface geometry and the corresponding superconducting energy gaps of the famous iron-based superconductor FeSe. We show that both gaps are extremely anisotropic but nodeless, and they exhibit gap maxima oriented orthogonally in momentum space. By introducing a novel technique, we demonstrate that these gaps have opposite sign with respect to each other. This complex gap configuration reveals the existence of orbital-selective Cooper pairing that, in FeSe, is based preferentially on electrons from the dyz orbitals of the iron atoms. Phase-optimization analysis of the phase-resolved electronic structure reveals a virtually doping-independent locking of the local charge density modulation with four crystal unit cell periodicity throughout the underdoped phase diagram of the canonical cuprate Bi2Sr2CaCu2O8+x. 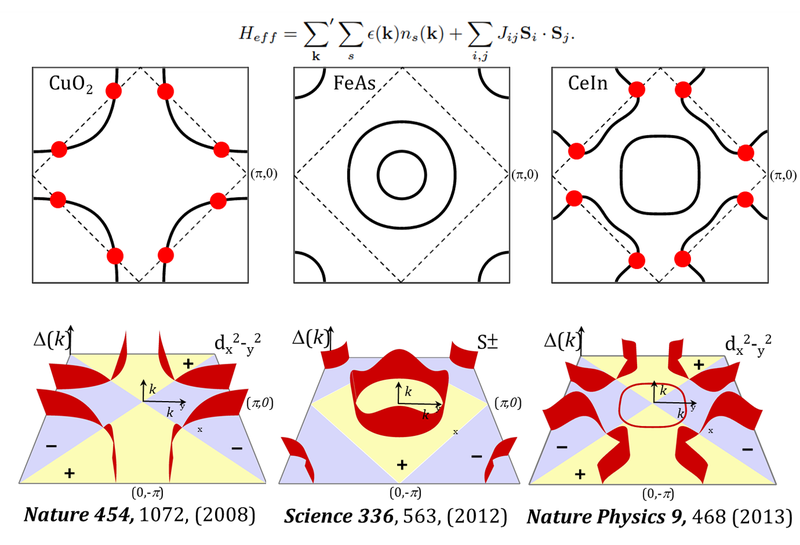 Theory predicts that the cuprate pseudogap phase should contain a spatially modulating Cooper-pair density wave (PDW) state. 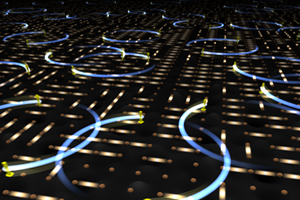 This would be akin to the famous FFLO state of spatially modulated conventional superconductivity, but generated by strong correlations instead of high magnetic fields. 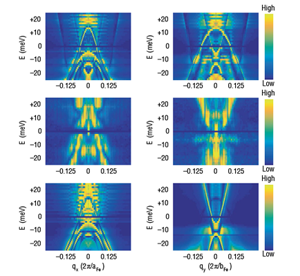 To search for a cuprate PDW, we developed a millikelvin scanned Josephson tunneling microscope (SJTM) system that can image Cooper-pair tunneling from a d-wave superconducting STM tip to the Cooper-pair condensate of Bi2Sr2CaCu2O8. 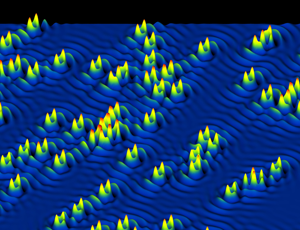 Nanometer resolution condensate visualization then revealed a Cooper-pair density wave modulating along the Cu-O bond directions at wavevectors Qp ~ (1/4,0)*2π/a0; (0,1/4)*2π/a0. 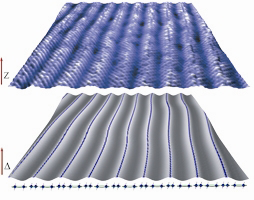 Energy-resolved sublattice visualization of the electronic structure reveals that the d-form-factor density wave states in underdoped cuprate involve particle-hole interactions focused at the pseudogap energy scale and between the four pairs of 'hot frontier' regions in momentum space where the pseudogap opens. A classic "supercooled" liquid develops when a fluid does not crystallize upon cooling below its ordering temperature. Such liquids have specific identifiers including microscopic relaxation times diverging on a Vogel-Tammann-Fulcher (VTF) trajectory, a Havriliak-Negami (HN) form for the dielectric function, and a general Kohlrausch-Williams-Watts (KWW) form for time-domain relaxation. Recently, the magnetic state of the frustrated pyrochlore Dy2Ti2O7 has become of wide interest. 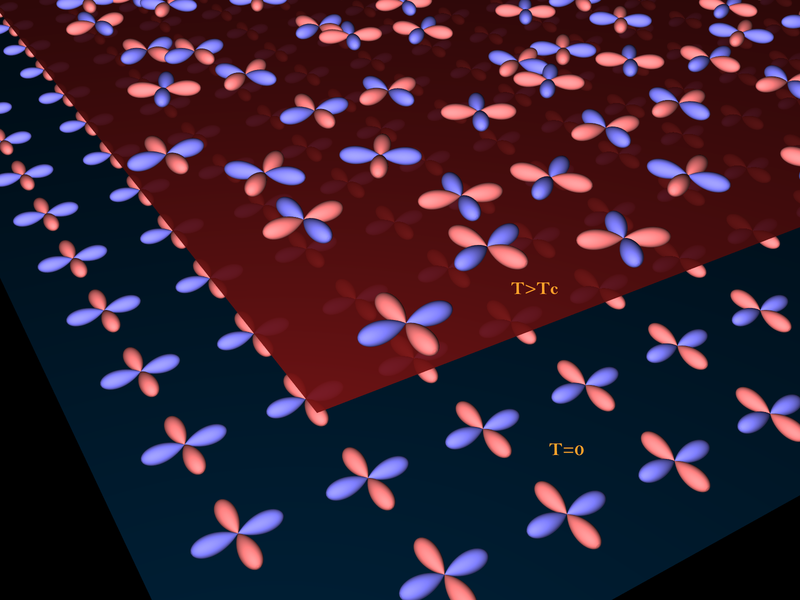 By introducing novel magnetization transport measurement techniques, an improved understanding of the time- and frequency-dependent magnetization dynamics of Dy2Ti2O7 is achieved. 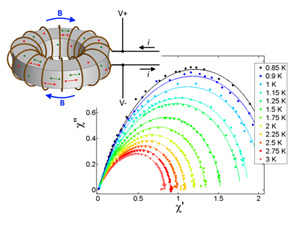 We find that this system exhibits a virtually universal HN form for the magnetic susceptibility, a general KWW form for the real-time magnetic relaxation, and a divergence of the microscopic magnetic relaxation rates with the VTF trajectory. 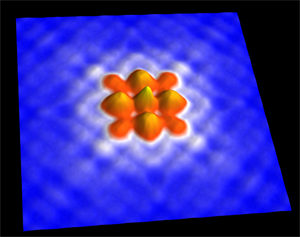 Low-temperature Dy2Ti2O7 therefore exhibits all the characteristics expected of a supercooled classical spin-liquid; we propose that this is the correct description of its magnetic state. 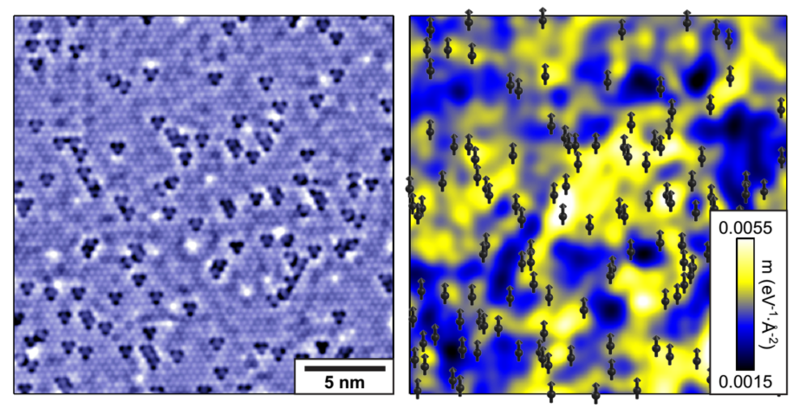 SI-STM study visualizes the atomic-scale effects of irradiating Fe(Se,Te) superconductor with high-energy heavy ions. 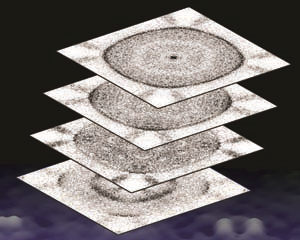 Simultaneous imaging of defects, superconducting order parameter and vortex configuration reveals how columnar and point defects pin quantum vortices allowing high critical current density. 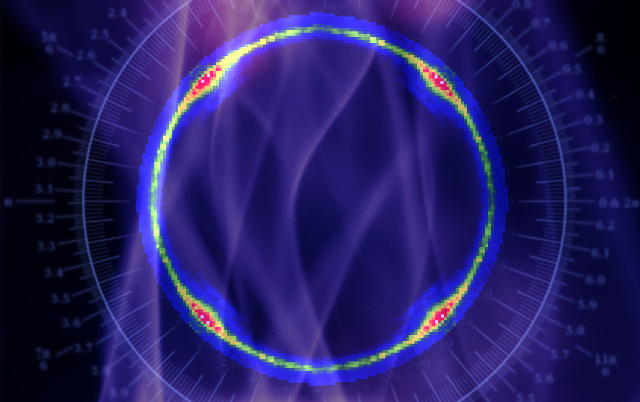 Quasiparticle Interference (QPI) imaging technique reveals that electron-boson interaction in LiFeAs superconductivity has momentum-space anisotropic self-energy 'fingerprint' of anti-ferromagnetic spin fluctuations. 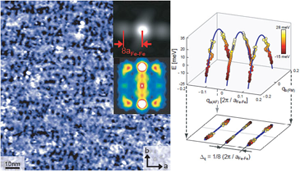 Direct sublattice-phase-resolved imaging of the electronic structure in both Bi2Sr2CaCu2O8+δ and Ca2-xNaxCuO2Cl2 reveals that the cuprate pseudogap phase exhibits a previously unknown electronic state: a d-symmetry form factor density wave. 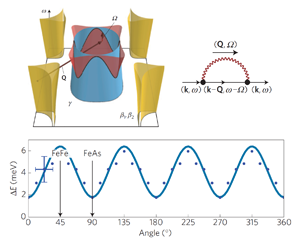 Quasiparticle interference imaging of heavy fermions reveals the momentum-space structure of the f-electron magnetism in CeCoIn5. 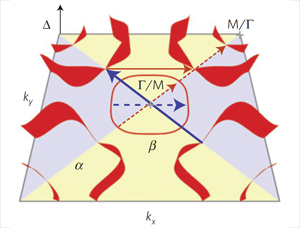 Using this novel information, we then demonstrate directly and quantitatively that the Cooper pairing in this heavy fermion superconductor is mediated by the f-electron magnetic interactions. 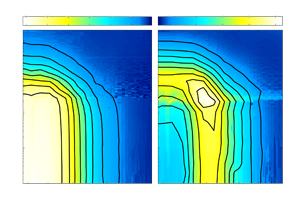 Abrupt transition in Bi2Sr2CaCu2O8+δ Fermi surface topology from broken 'arc' to full closed contour is visualized with SI-STM to occur at the same critical doping level where d-form factor density wave disappears. 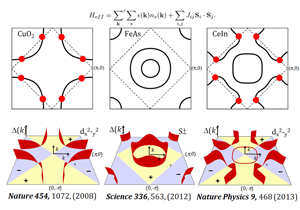 Rich ordering phenomena with distinct symmetry observed in proximity to the superconductivity of Cu-based / Fe-based / heavy-fermion compounds are explained in a unified theory based on antiferromagnetic interaction. 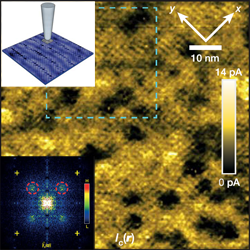 Complex band structure and the Fermi surface of CeCoIn5 is revealed in detail with QPI. 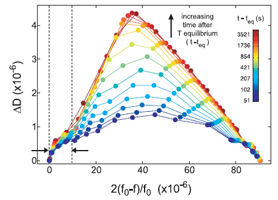 Also visualized for the first time in heavy fermion superconductor compound is the superconducting energy gaps, shown to be consistent with dx2-y2 symmetry. Dopant-induced impurity states in underdoped iron-based superconductor Ca(Fe1-xCox)2As2, resulting quasiparticle scattering, and its relation to the nematic transport of the parent phase are studied with SI-STM and ARPES. 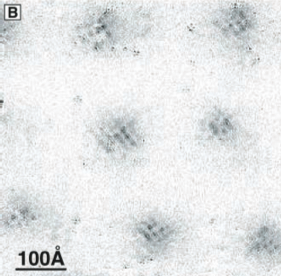 Zinc impurity states inside Bi2Sr2CaCu2O8+δ are located to pico-meter scale, providing phase information for intra-unit-cell Bragg-peak Fourier analysis. 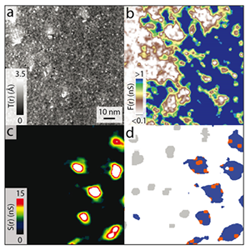 Anisotropic energy gaps of iron-based superconductor LiFeAs are determined from intra-band QPI analysis. 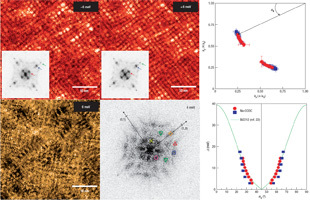 Electronic structure of Kondo holes in the Th-doped heavy Fermion compound URu2Si2 is visualized with STM to find heterogeneous hybridization strength in nanoscale. 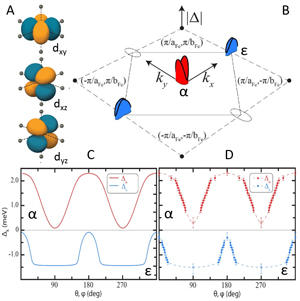 The 2π topological defects in the pseudogap phase of underdoped Bi2Sr2CaCu2O8+δ and the relationship between the coexistent smectic and intra-unit-cell broken symmetries are studied. 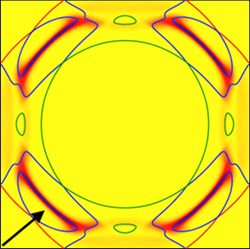 Interplay of rotational, relaxational and shear dynamics in solid 4He is investigated. 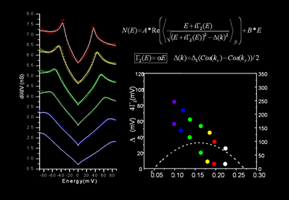 Electronic nematicity within unit cell in Bi2Sr2CaCu2O8+δ was studied with SI-STM. 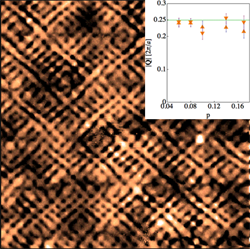 Heavy-fermion compound URu2Si2 is investigated in both real and momentum space with spectroscopic imaging (SI) - STM. 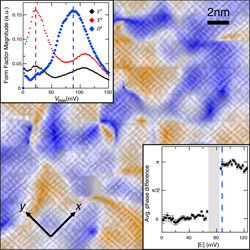 Nematic electronic structure in the parent state of the iron-based superconductor Ca(Fe1-xCox)2As2 is revealed by spectroscopic imaging (SI) STM measurements in both real-space and momentum-space. Heavy d-electron quasiparticle interferenc(QPI) patterns in k-space and sub-atomic electronic structure in r-space are revealed by spectroscopic imaging(SI) STM measurements on Sr3Ru2O7. A relevant band is also identified from the complicated band structure of Sr3Ru2O7 by inverting dispersing QPI patterns. 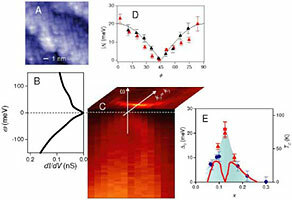 Relaxation study of 4He in the solid phase reveals ultraslow dynamics, evidencing the formation of superglass state. Investigation of the vanishing pattern of Cooper pairs in Bi2Sr2CaCu2O8+δ, approaching the Mott insulator. Evolution of the electronic excitation spectrum with strongly diminishing hole density in superconducting Bi2Sr2CaCu2O8+δ. 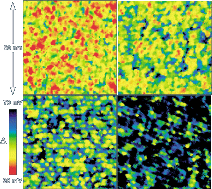 Imaging the impact on cuprate superconductivity of varying the interatomic distances within individual crystal cells . Quasiparticle interference of nearly optimally doped Ca2-xNaxCuO2Cl2 was studied using STS. Click the left image to see the movie. 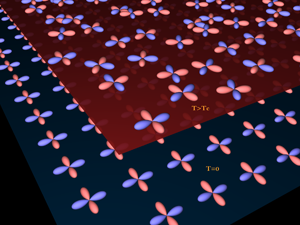 The pseudogap state in cuprate superconductors La2-xBaxCuO4 (x=1/8) was studied by ARPES and STM. 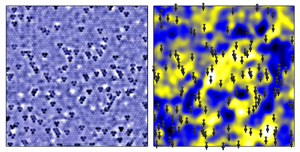 The influence of atomic scale electron-lattice interactions on high-Tc superconductivity was imaged by STM. 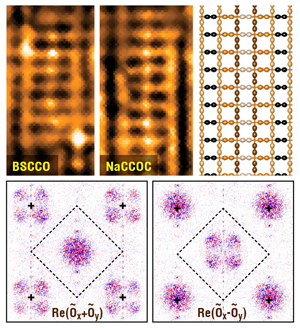 Atomic-scale sources and mechanism of nanoscale electronic disorder in Bi2Sr2CaCu2O8+δ were identified by STM. The doping dependence of nanoscale electronic structure in superconducting Bi2Sr2CaCu2O8+δ was studied by STM. 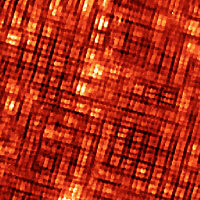 'Checkerboard' electronic crystal state in the lightly hole-doped cuprate Ca2-xNaxCuO2Cl2. The relationship between atomic-scale electronic phenomena and wave-like quasiparticle states in superconducting Bi2Sr2CaCu2O8+δ was explained in terms of an octet model of quasiparticle interference. The granular structure of high-Tc superconductivity in underdoped Bi2Sr2CaCu2O8+δ was imaged with atomic resolution, revealing inherent heterogeneity. 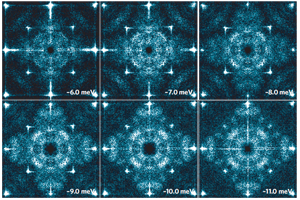 A checkerboard-like Four Unit Cell Periodic Pattern of Quasi-Particle States Surrounding Vortex Cores in Bi2Sr2CaCu2O8+δ was discovered.